Skeeter Snacks are are tree-nut-free and peanut-free! Their delicious cookies and snacks include Chocolate Chip, Cinnamon Grahams, Chocolate Chunk and more. 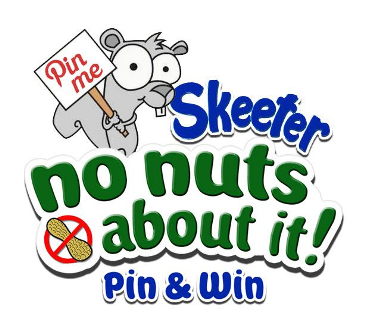 They've just launched a special (and easy to enter) contest called the Skeeter No Nuts About It! Pin and Win Contest. Go play along and win fabulous prizes!